The simple answer is that Pilates makes my life better. I’m healthier, clearer in my mind and stronger. 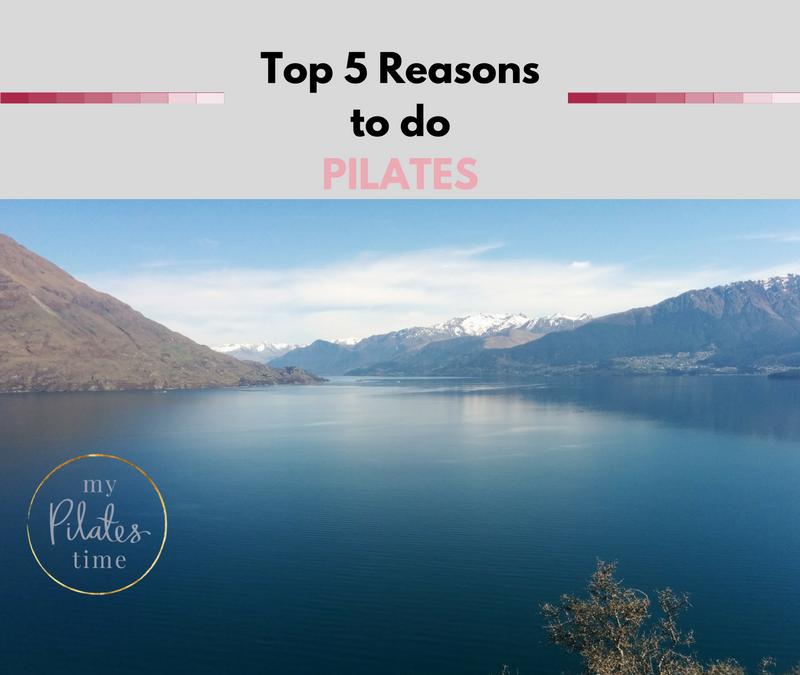 Here are my top 5 reasons that I do Pilates in Queenstown. Pilates makes my body feel good. Moving is what our bodies are designed to do. When we move, we breathe deeply and tension is released. Much of our lives are in a static state, working at a computer or sitting down. A Pilates class improves circulation and allows you to stretch, improving your range of motion through all areas of your body. Pilates makes my mind feel good. By using breathe to meditate, an easiness and clarity of mind comes. This awareness helps me feel grounded and centered. And it helps your mindset as you make choices about what to eat throughout the week. I enjoy seeing others look after themselves. So many clients come to me with back or neck pain, and the wonderful thing about Pilates is that you can often take control of your own health and reduce back and neck pain. It’s empowering to decide to do something for yourself, to decide to look after your body. I love that with Pilates, you see improvements quickly. In just a few sessions you appear to stand taller, carrying the shopping becomes easier, and you notice your posture as you walk and carry on with your life activities. The other thing that is great about Pilates, is that mat classes can be filled with people of all ages and fitness levels. Individuals can work at their own level with simple modifications and being with a group of people from different stages of life is encouraging for everyone. The common thread is that the participants have a common goal of looking after their health and living well.